A quick trip to Asus' off-site location at CES 2018 revealed routers, gaming PCs, the NVIDIA Big Format Gaming Display and its new bezel-hiding kit. That last one helps gamers (or productivity hounds seeking an edge) to link monitors together while also using optics to hide the seam where each bezel meets. 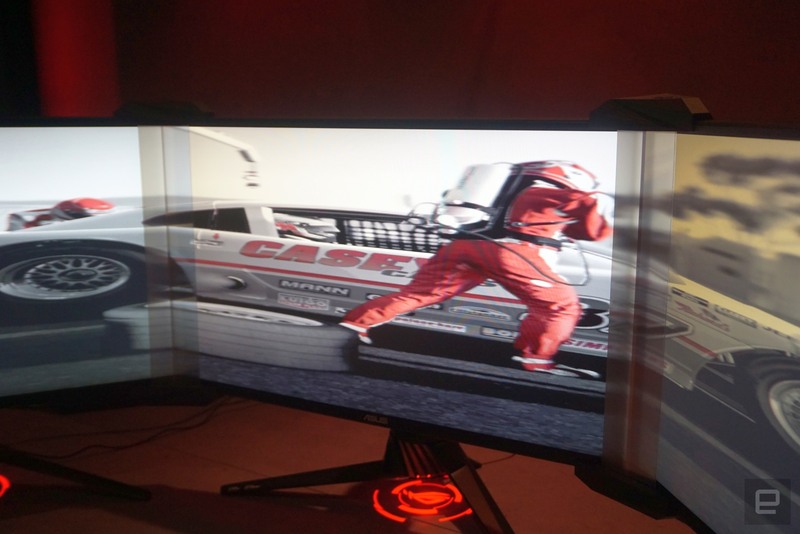 There are no filters, software or effects at play here: It's simply an optical device that refracts light around the monitors' plastic edges. So how well does it work in practice? That depends on your expectations. It's in no way a competitor for the seamless bliss of extreme widescreen curved monitors that can truly envelop gamers in another world. But it does hide the seam and with time could eventually fade into the background of many games. The blurry lines where the monitors meet aren't that much worse than a car's A-pillar; however, at first, they stick out considerably. We'd need an extended play session to figure out if they remain noticeable (and perhaps some tweaking to make sure each monitor is calibrated evenly). There's no word on how much the Bezel-free Kit will cost, but it's expected to go on sale later this year. 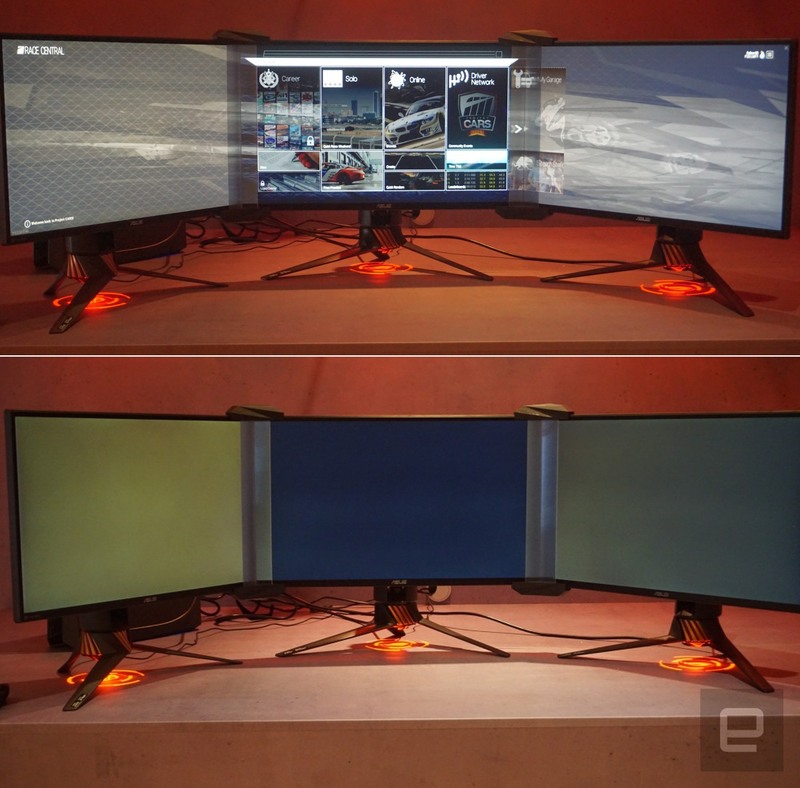 Bezel-free Kit is an accessory that enables gamers with multiple-monitor setups to visually eliminate the gaps where their displays connect, creating the appearance of one extra-large, wraparound monitor for a totally immersive gaming experience. Bezel-free Kit consists of vertical lenses and easy-to-attach mounts that connect the edge of each monitor at a 130-degree angle -- the angle determined through extensive testing to provide the best viewing experience. An optical device that requires no software or power to operate, Bezel-free Kit uses light refraction to make the monitor edges disappear to the viewer. It provides an innovative, simple and effective method of increasing field of view and dramatically enhancing gameplay.